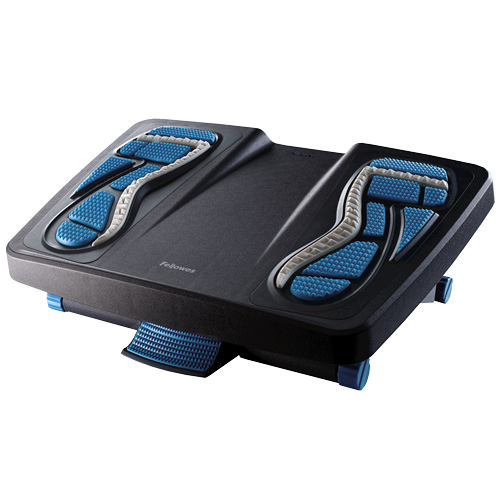 The Fellowes Energizer Foot Support features an invigorating rubber surface with diverse massage textures to target pressure points. The Energizer™ elevates feet and legs to help relieve lower back pressure and improve posture. Free-floating platform allows for intuitive rocking motion to help promote lower leg movement. Scissor motion height adjustment provides three platform height settings (4”, 5-1/4” and 6-1/2”) and up to 25°tilt.